2014 Edition! 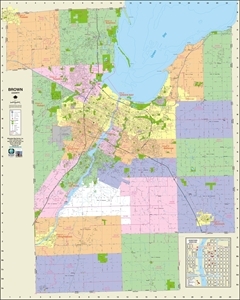 Street level detail showing the communities of: Allouez, Ashwaubenon, Bellevue, De Pere, Denmark, Glenmore, Green Bay, Hobart, Howard, Lawrence, Ledgeview, New Franken, Pulaski, Rockland, Suamico & Wrightstown. Available in two sizes. 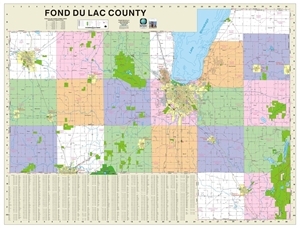 Street level detail including the communities of: Brandon, Campbellsport, Eden, Fairwater, Fond du Lac, North Fond du Lac, Oakfield, Ripon & Rosendale. Available in Two Sizes. 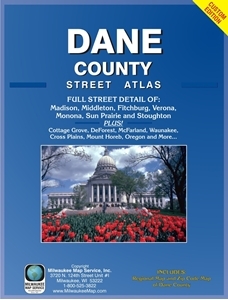 Street level detail including the communities of: Fond du Lac, North Fond du Lac, Ripon & Waupun. 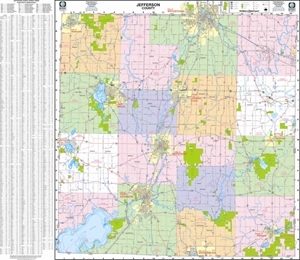 Map opens to size: 29" x 23"
2015 EDITION! Street level detail showing the communities of Fort Atkinson, Jefferson, Johnson Creek, Lake Mills, Palmyra, Sullivan, Waterloo & Watertown. 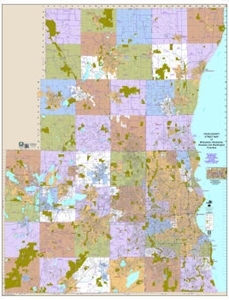 Street level detail including the communities of: Bayside, Brookfield, Cudahy, Eagle, Fox Point, Franklin, Greendale, Greenfield, Hartland, Menomonee Falls, Merton, Milwaukee, Muskego, New Berlin, Oconomowoc, Pewaukee, Shorewood, Wauwatosa, Waukesha, West Allis & Whitefish Bay. 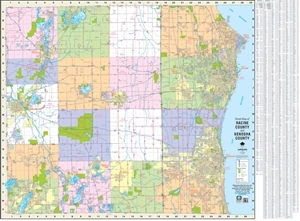 Map opens to size: 27" x 38"
Street Level Detail Showing the Communities of: Cedarburg, Eagle, Franklin, Germantown, Hartford, Mequon, Milwaukee, Muskego, Oconomowoc, Port Washington, Waukesha & West Bend. Available in 2 Sizes. Street level detail including the communities of: Kohler, Manitowoc, Plymouth, Sheboygan, Sheboygan Falls & Two Rivers. Map opens to size: 29" x 23"